The Ping-Pong Ball Launcher combines the two favorites, building and making things fly. 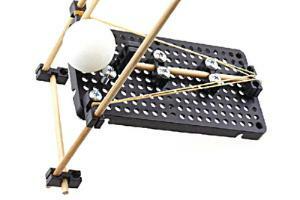 This activity comes with all the components to build an adjustable launcher base and a launcher mechanism. From there choose a design purpose. Do you want to hit a target at a given distance? Do you want to launch the ping pong ball the highest or farthest? Is consistency important? 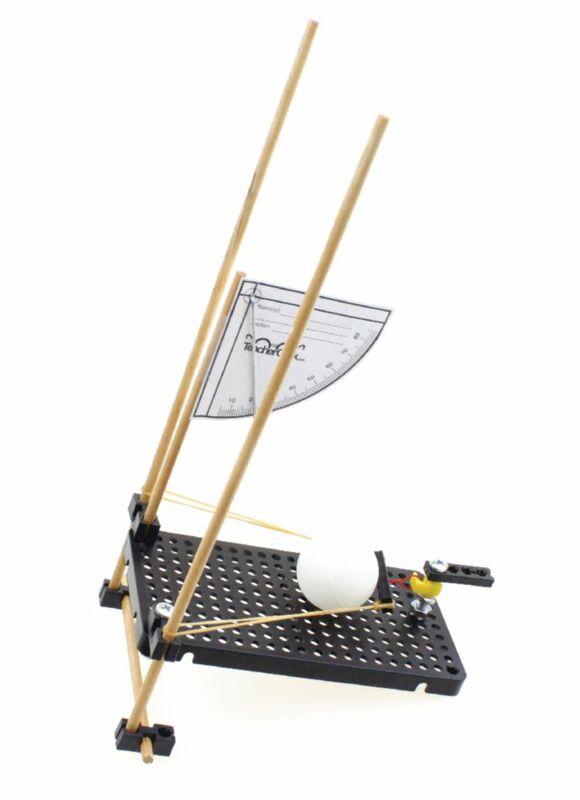 How do the constants or variables affect your results (angle of trajectory, gravity, stored energy, mass, range, environment, etc.)? 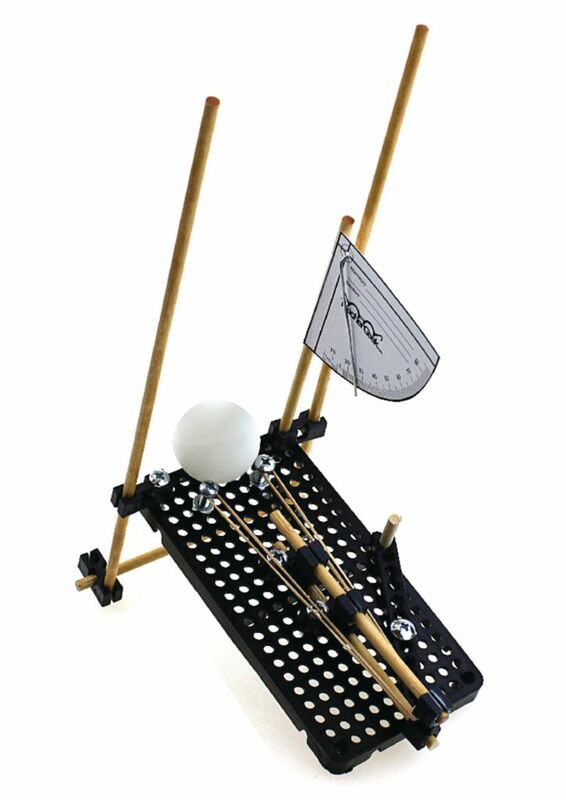 Now design, build, implement and innovate with your launcher to allow for experimentation with the elements of projectile motion. Use kinematic equations for motion and two dimensions to determine the range of a projectile. Determine which launcher angle resulted in the greatest distance traveled. 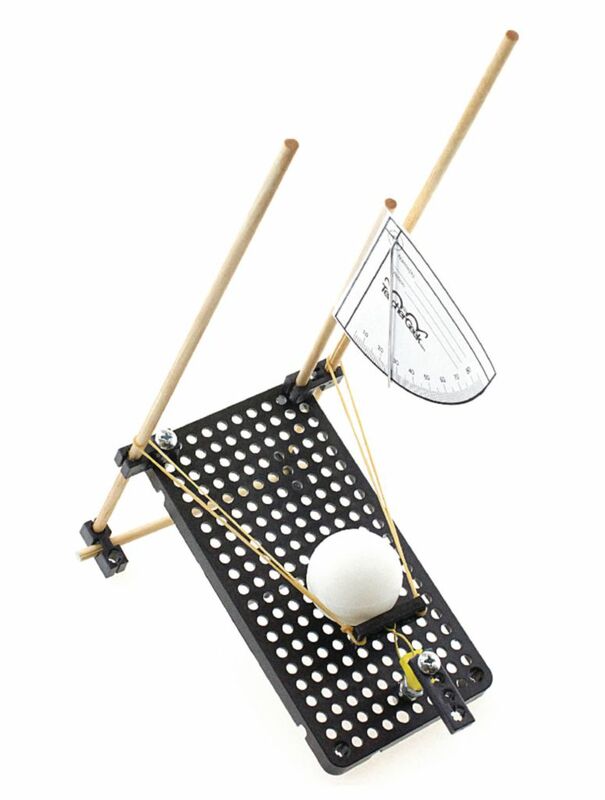 Determine which launcher angle results in consistently hitting a given target. What forces act on a projectile in flight? 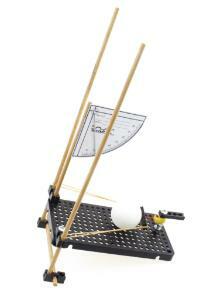 How does the mass of the projectile affect the distance it will travel when the same force and launch angle are used? Calculate the average distance traveled for each angle. Calculate the standard deviation of the distance traveled for each angle. Create a spreadsheet / graph / table of your results. Give a presentation using your data as argumentation for your best design.